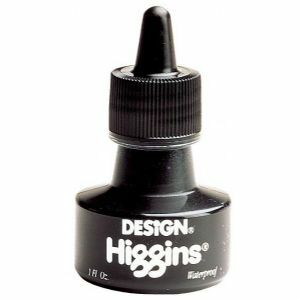 Non-peeling, non-clogging ink for technical pens, lettering pens, brushes and airbrushes. Use for scratchboard, fabric dyeing, crafts and more. 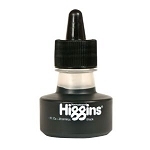 Opaque semi-gloss black finish reproduces without hot spots or line variations.